Discussion in 'SEO - Packages' started by t0mmy, Jan 29, 2016. Super September Special - 30% OFF - Coupon Code: "SEPT30"
We're running a HUGE Competition on our Facebook page right now, check the image below and click here for full details! just shot you a message on your website. All messages cleared, you should have a reply! It’s in the image above my last post! 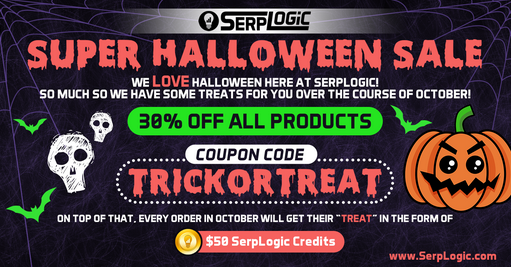 “TRICKORTREAT” for 30% off. it's our Birthday Month! We turn 3 this year.. and what a 3 years it's been. This year has been our biggest to date and that's all thanks to you guys! 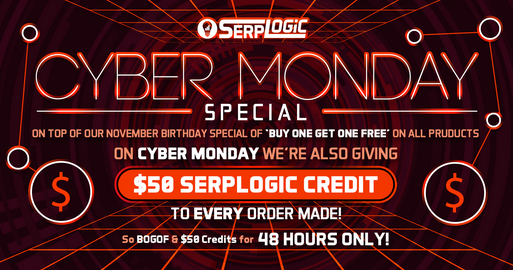 To Celebrate and as a Thank You to you all for helping us reach this milestone, we're going to be running our Famous Buy One, Get One FREE Promotion all of November. On top of that we'll have lots of spot deals a random Birthday Promos coming your way throughout the month.. be sure to check your mail! We only run these BOGOF promotions twice a year. This will be the last one until summer 2019. 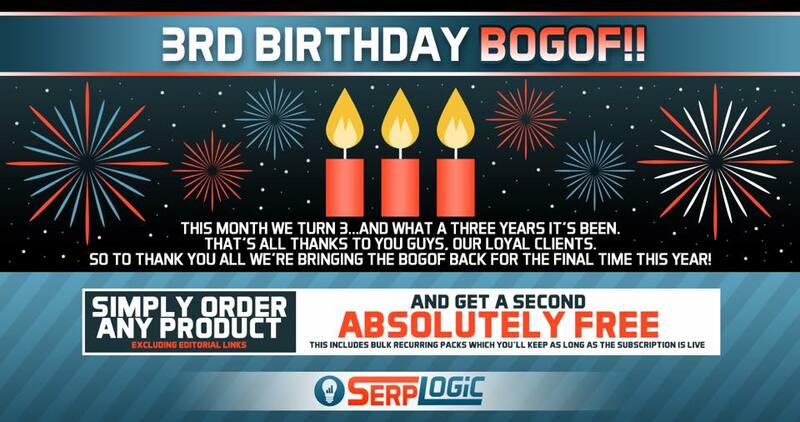 We have agencies on our bulk recurring plans since our last Birthday as they dare not lose the Free Bulk Package received monthly if your subscription is kept live! 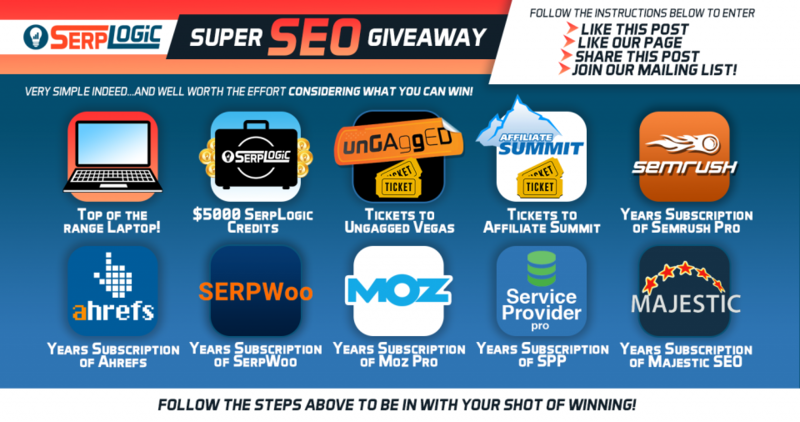 The beauty of these is really in stocking up on Bulk Outreach packages which are on a recurring monthly basis, if you keep the subscription live you continue to get the free 10 placements each and every month. A great opportunity for Agencies to stock up. 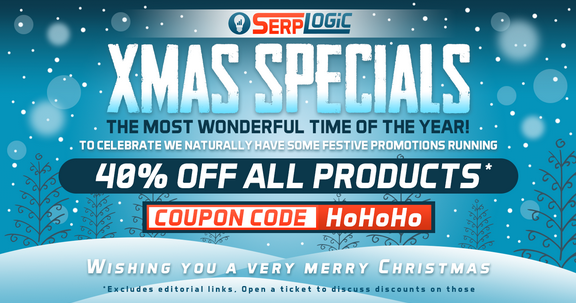 Another great aspect to this is it's the perfect time to grab one of our more pricier products, for example the Infographic Design + Placements product, you'll get a second absolutely FREE which helps justify the price. I don't think I need to say much more on it. Simple enough - order a product, you get the exact same one Free. Order a bulk recurring pack, you get the same every month as long as the subscription is live. Check out today's Newsletter.. packed full of news, updates and promotions!